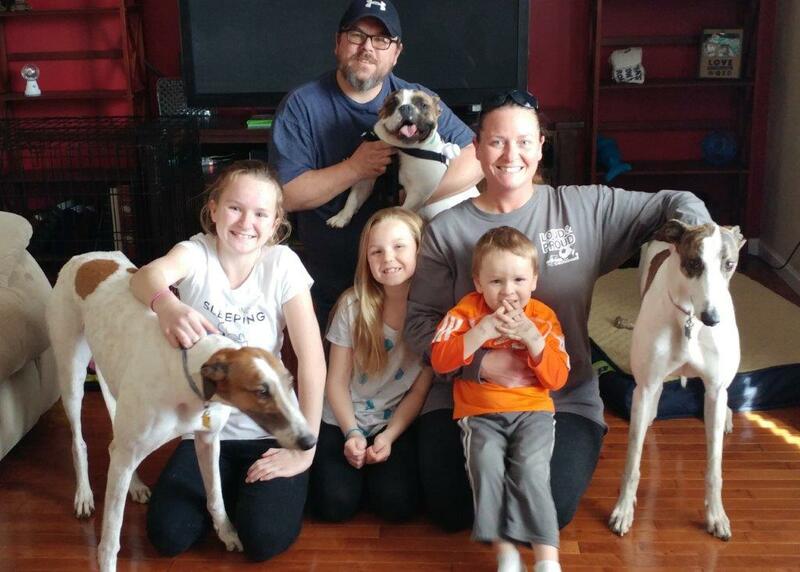 It took less than two weeks for Maineville family Kim, John, Madison, Katelyn and John to double their greyhounds. White and brindle Cooper joined bulldog Mater on April 8th and was such a hit, white and red Tender was adopted on the 20th. Known as "Chicken Tender" at the kennel, the new girl will keep her unique nickname, giving the family a Chicken and a Coop. We hope they'll be able to join us for lots of events this summer.